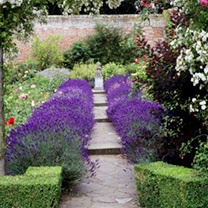 A compact variety of the popular English lavender. Its dense, intensely aromatic, silver-grey foliage is covered, in summer, with spikes of fragrant, deep violet flowers. RHS Award of Garden Merit winner. Height 60cm; spread 60cm. Supplied in a 2 litre pot. No summer garden should be without this traditional favourite! 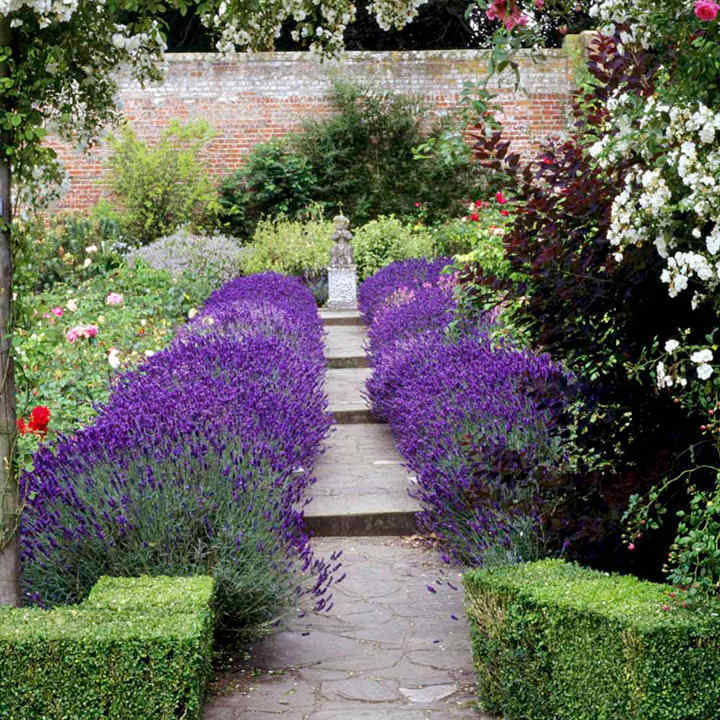 Be creative with your lavender: its mounds of fragrant foliage are ideal for borders, hedging, in pots, or in a combination with other architectural plants. Hang bunches of flowers to dry and use it in potpourri indoors. Ideal for beds and borders, patio pots and containers. Scented. Suitable for cut and dried flowers. RHS Perfect for Pollinators. Prefers full sun or partial shade.